The archive is owned by the estate and contains numerous rare artifacts including Mabel’s journal and papers (please note her journals are not available for research at this time). The estate will answer queries and is available for interviews. 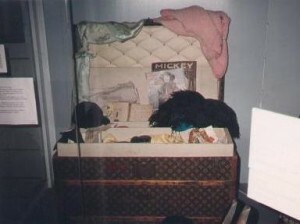 Some items from Mabel’s estate have gone missing from her death in 1930 to now. If you can help recover these items please contact us. For some digital archive media click here.